At present the college runes Postgraduate Degree and Diploma Courses in 19 subjects, Superspeciality Courses in 3 subjects and Ph. D. Courses in 13 subjects. These recognitions and expansions granted by the MCI, UGC, MHRD and by the Ministry of Health & Family Welfare, Government of India are the result of visionary guidance and whole hearted support of our Hon'ble Chancellor, Dr. P. D. Patil, the efforts put in by the faculty and the excellent facilities like spacious building measuring 4,50,000 sq. 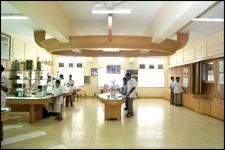 ft., large lecture halls, well-equipped laboratories, well-stocked library, a hospital with 1300 beds, ultra-modern super speciality facilities, such as MRI, CT Scan, Colour Doppler, Mammography, ICUs, etc. 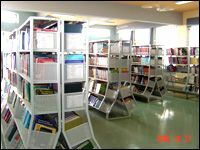 Besides regular lectures and practicals, the college gives importance to research. Several research proposals of post-graduate students and of the faculty members are approved and funded by ICMR, DRDO, UGC, Dr. D.Y. Patil University, etc.